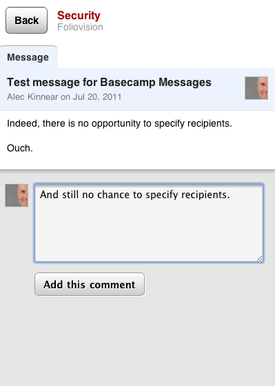 Over a month ago we reported this issue to 37 Signals. 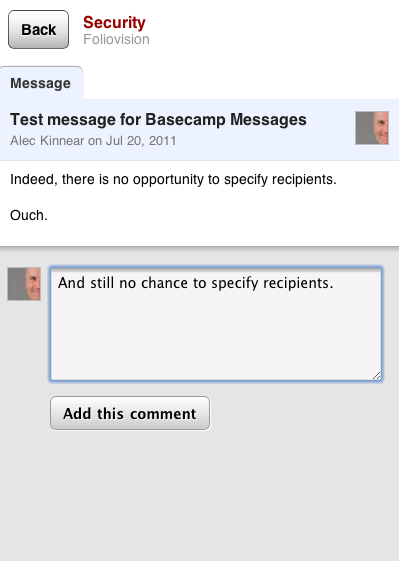 As is their wont, 37 Signals have decided to ignore urgent client feedback. 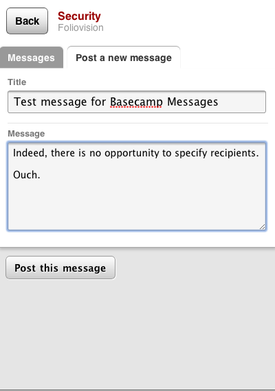 Normally a feature gets added when a competitor gets it and people start migrating away. It would be nice to see this particular issue fixed earlier. I understand that 37 Signals have had some difficulty ﻿developing the mobile platform for ﻿Basecamp. 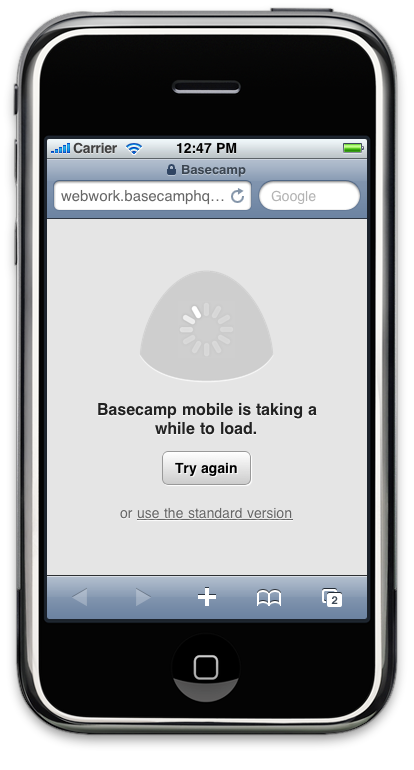 First the Basecamp mobile platform was to be an iPhone app. Then they decided to make it HTML 5 and usable on any device. ﻿Great choice and one we are putting in place for our own web applications and web sites. 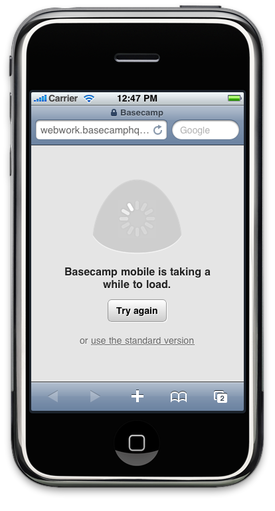 Strangely though Basecamp does not consistently work on mobile devices. It does work on my HTC Desire Z and Nokia but the Opera Mobile Emulator does not show the mobile version with any of its built-in user agents: Android, S60 and Maemo. The iPhone emulator shows mobile but a spinning beach ball instead of loading. Yet, if 37 Signals is building mobile as a single monolithic browser app and not building platform specific applications, there's little excuse for a delay in bringing it up to speed. 37 Signals has enough money (they get $2000 of our money every year) to pay someone to work on the mobile versions of their apps as a dedicated job. Don't be tight with the money, David and Jason, please. Help us get up to speed with mobile devices. What you have there now is worse than no solution (subscribing everyone to every post). Generally, the takeaway here is that very few companies are working hard enough on their mobile/smart phone versions. 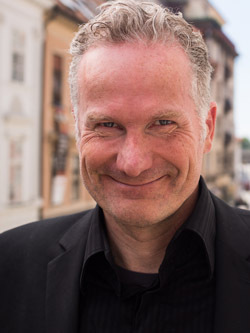 By half doing the job on mobile, developers and companies are doing no one any favours. In general, IT either works or it doesn't. In this case, IT doesn't work but is masquerading as functional.